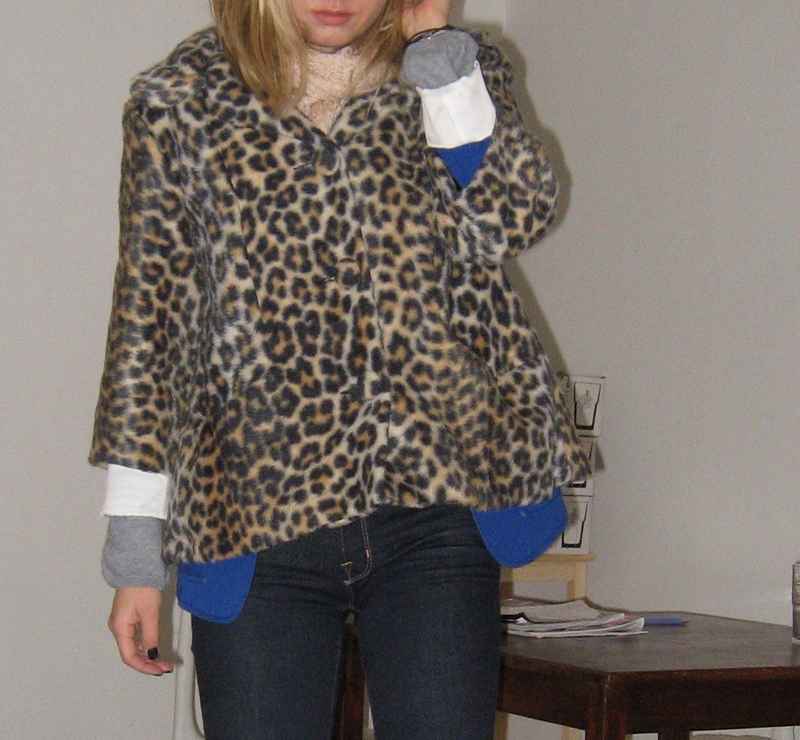 I've had this coat for a few years now and i just love it. I even had my mom bring it to me when she came to visit a few weeks ago (thanks mommy!) - it had to be removed from my suitcase at the airport due to overweight baggage. It's from a really amazing vintage store in Toronto on Queen street west (for all you Canadians out there! ), i don't remember what it's called, but whenever i make it to Toronto i always try to stop by. I had been looking for this exact coat for a long long time and there it stood, almost like a light shining on it from above, ready for me to take it home. That was 4 years ago and i still love it jut as much. Leopard print is a classic. And so are blue jeans, a cashmere and a schoolboy blazer. 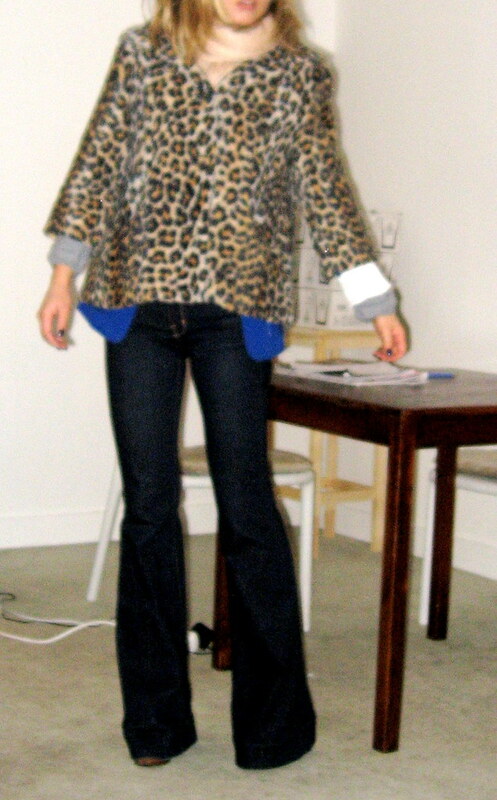 love the jeans and leopard coat. lookin good! What a great shade of blue! I love it.